​Georgia has its fair share of storms throughout the year. Rain, wind, ice, snow … any of these situations can bring down even the healthiest tree under the right conditions. When a tree falls on your home or property due to seasonal storm damage, it pays to know a dependable and reputable tree service company that you can rely on for tree removal emergencies. 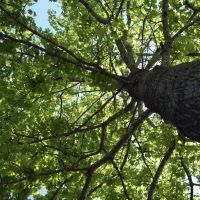 It always pays to be prepared and there are several steps you can take to avoid potential tree damage from happening. A storm season emergency can happen during any season. Four contacts you should have in your phone regarding emergency tree removal service are: your insurance company, a licensed and insured tree service like Zach's Grading and Tree Removal in Ball Ground, your power company and local police department (in case the tree falls on power lines). To avoid potential damage to your home or property or potential damage to your neighbor's property, take some time and look at the trees in your yard, especially pine trees or trees that are close to your house. Do any of them look damaged from previous storms or from ice damage? Do they have loose hanging limbs or limbs that look rotted or stressed? Are the roots of the tree exposed or damaged? If so, it's best to have damaged limbs or trees removed before the next storm can make them an unwanted expense that you don't need. Word of mouth is generally the best way to find a good tree removal service, but in the event of a storm related tree removal emergency, you will sometimes be left to taking your chances with someone you don't know. Look for a tree removal service in Ball Ground that is licensed and insured, has all the proper equipment needed to do a thorough and professional job, and check out their reviews or testimonials on their website. Zach's Grading and Tree Removal in Ball Ground is available 24/7 when you are faced with a storm related emergency. Our tree removal service in Cherokee County will be there when you need us to remove storm damaged trees so you can get your life back to normal.